How to use Spring Starter Eclipse Plugin to create a simple project with Spring Boot, Maven and Eclipse? How to create a Spring Boot Project manually step by step? You don’t want to store all the libraries in your project! You want to tell I need A, B, C and you would want the tool to download the libraries and make them available to you. That’s Maven. The tool which you use to manage the libraries. If you need a new version of the library, you can change the version and your project is ready! Also, You don’t need to worry about what libraries your library needs to work. For example, Spring might need other libaries - logging, xml etc. Data Layer (JPA - Hibernate) etc. You define dependencies in your pom.xml. 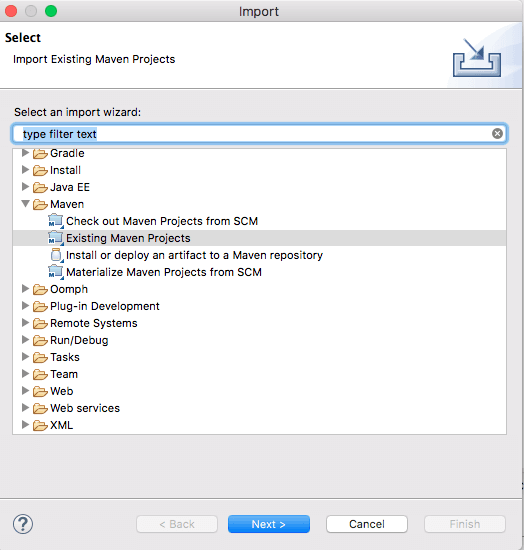 Maven would download the dependencies and make them available for use in your project. But, how does Maven know what dependency to download? You need to tell it by giving the details of the dependency. Just like you can identify a Java class with a class name and a package name, you can identify a maven artifact by a GroupId and an ArtifactId. 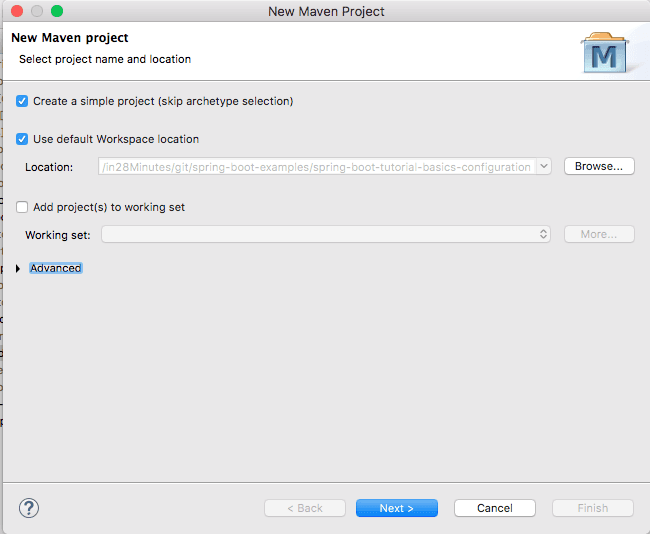 Manually Create a Maven Project and add Spring Boot Starter Dependencies. We will use a Spring Boot Starter Web as an example. Creating a Web application with Spring Initializr is a cake walk. We will use Spring Web MVC as our web framework. This would download a zip file to your local machine. Unzip the zip file and extract to a folder. With Spring tool suite, you can directly create a spring boot project from Eclipse. https://spring.io/tools/sts/all provides the complete download of STS as well as the Update Sites for STS Eclipse Plugin. In Eclipse/STS, start with File -> New -> Spring Starter Project as shown below. In the next screen, you can choose the following for your project. Make sure you choose Maven as Type. In the next screen, you can choose the dependencies that you would want to add to your Spring Boot project. The last option is to create the project manually. In the next screen, provide these details for your project and click Finish. This would create a basic Maven project with Zero dependencies. Starter Web is used for developing Spring Boot Web Applications or RESTful Services. Starter Test provides unit testing and integration test capablities with Spring Test, Mockito and JUnit. One this we are missing is the version for these dependencies. Next step is to create a Spring Boot Application class which will be launching point of the web application. All that you need to do is to add @SpringBootApplication and use SpringApplication.run() static method to launch the Spring Application context. When you launch this class a java application, you would see that an embedded tomcat server would launch up and you are ready to add in features to this application. 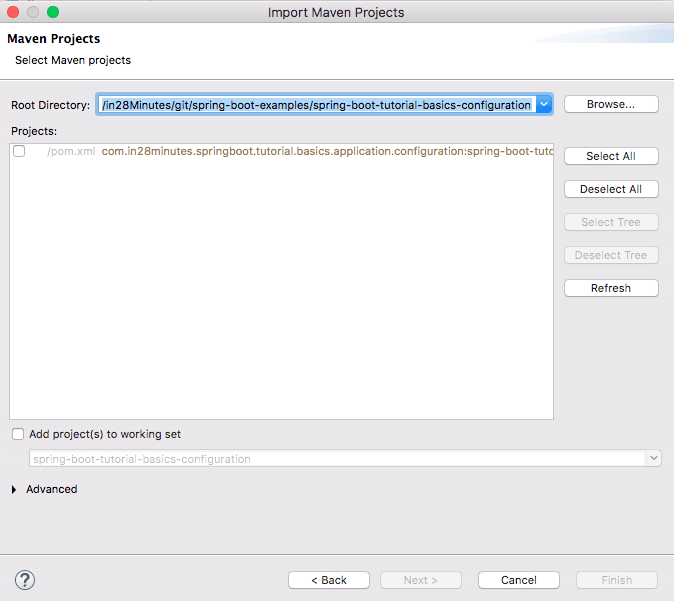 In this article, we looked at the different options to creating Spring Boot Projects with Maven and Eclipse. I love option 2 of creating the project directly from Eclipse using STS plugin. But, you might have your own preference.